Italy is officially a secular state. However, its religious and social landscape is deeply influenced by the Roman Catholic tradition. Indeed, the epicentre and government of the Catholic Church (the Vatican) and its leader (the Pope) are located in Rome. 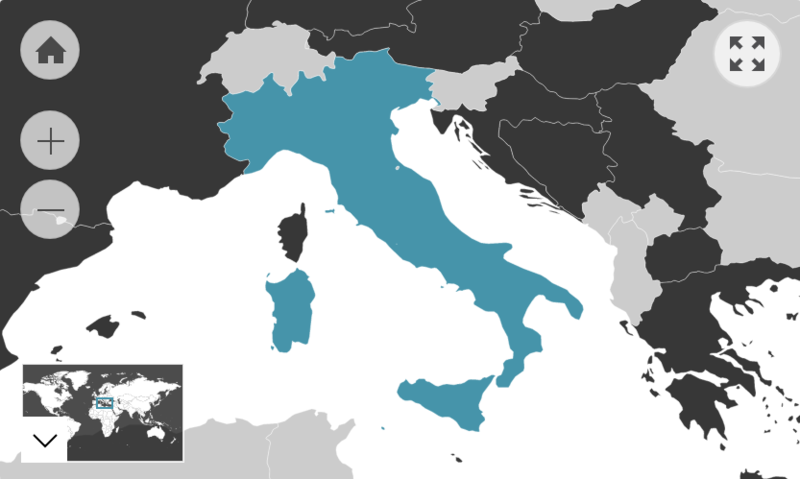 Despite this, Italy gave up Catholicism as a state religion in 1984 to maintain a divide between religion and law. Legislation prevents the Italian government from tracking the religious affiliations of its citizens. Therefore, all statistics on religious demographics of Italians are approximations. The general statistics relied upon by the CIA World Factbook state that roughly 80% of Italians identify with Christianity, around 20% are unaffiliated with any religion and less than 1% identify as Muslim or some other non-Christian faith (CIA World Factbook, 2017). A more specific estimate taken by the Global Pew Forum suggests that 83.3% of Italians identify as Catholics, 12.4% do not follow a religion at all, and a smaller portion of the Italian population follows other religions (Global Pew Forum, 2012). The importance of religious activity has declined in the 21st century, especially among Italian youth. There is general consensus that the demographic of practising Christians is far smaller than those who identify as Christian. Nevertheless, older generations continue to be more religiously inclined, including the older Italian population in Australia. The 2011 census found that 91% of the Italy-born people living in Australia identified with Roman Catholicism (91.0%). Meanwhile, 3.3% stated “no religion” and 2.1% did not state an answer. Roman Catholicism has been a point of unification for Italy, and its influence on society remains very publicly visible. There are thousands of churches in the country and over 900 in Rome alone. The Catholic Church’s statistics indicate that 96% of Italians were baptised as Catholic (Cheney, 2005). Though this figure does not reflect the number of current/active members, it demonstrates how the Catholic tradition is culturally dominant in life events (e.g. birth, death, marriage). The creed of the Catholic Church has significantly shaped the culture and social attitudes of Italians over time. Many devout Catholics consider the Pope to be the ultimate source of leadership and advice. As a branch of Christianity, Catholicism believes in the doctrine of God as the ‘Holy Trinity’, consisting of the Father, the Son and the Holy Spirit. For the typical Italian, life is marked by seminal Catholic moments, such as baptism, first communion, confirmation and marriage. These rites of passage mark key turning points throughout one’s lifetime. Some Italians may attend a service called Mass that is performed by a priest on Sunday. Those in Australia may prefer to go to a parish that has an Italian priest; there are many missionary priests that have taken it upon themselves to attend to the spiritual needs of Italian migrants overseas. Older Italians may pray using rosary beads while reciting Hail Marys and the Lord’s prayer. Some Italians may donate part of their salary to Catholic charities that perform community services. People may also have Christian iconography in their homes, such as pictures of Jesus and the Virgin Mary (commonly referred to as ‘Madonna’ in Italy). This figure refers to the number of Australian residents that were born in Italy. Of those who speak a language other than English at home, 74.3% speak English fluently.